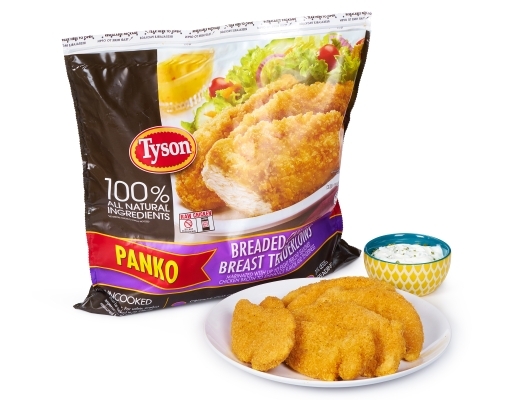 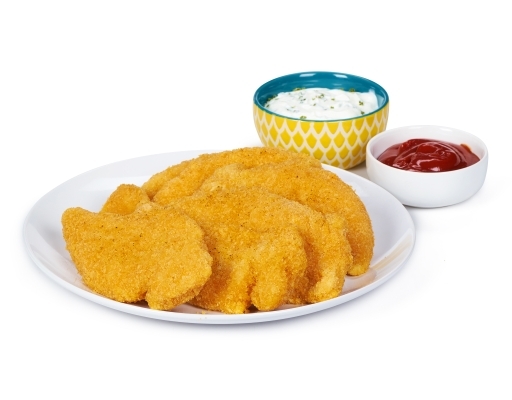 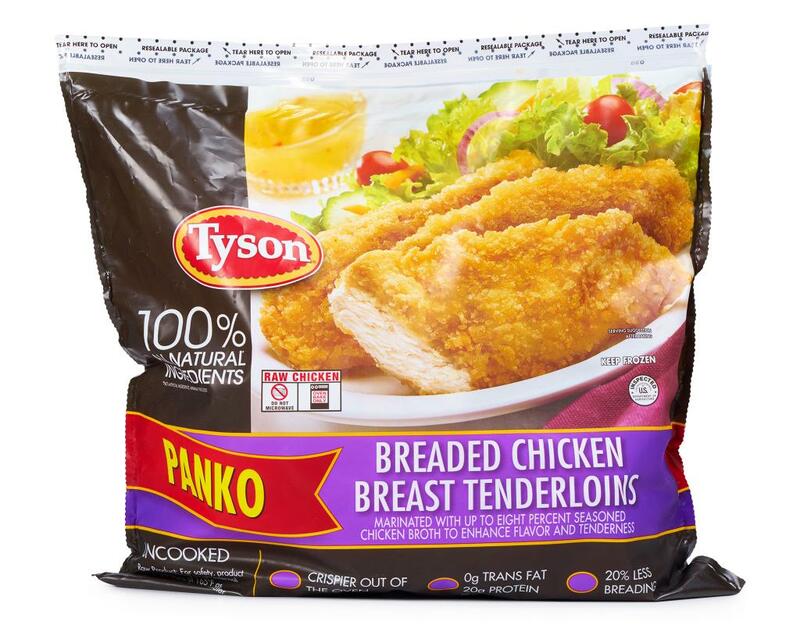 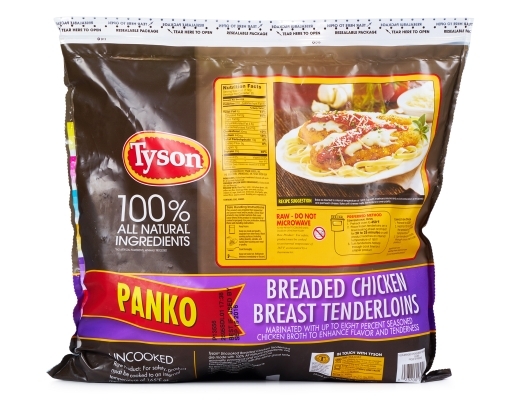 Tyson Uncooked Breaded Chicken Breast Tenderloins are made with 100% all natural ingredients, are minimally processed and contain no preservatives. 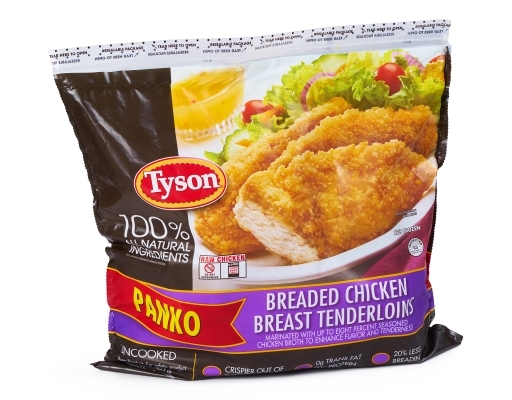 Chicken Breast Tenderloins Enhanced With Up To 8% Of Seasoned Chicken Broth. 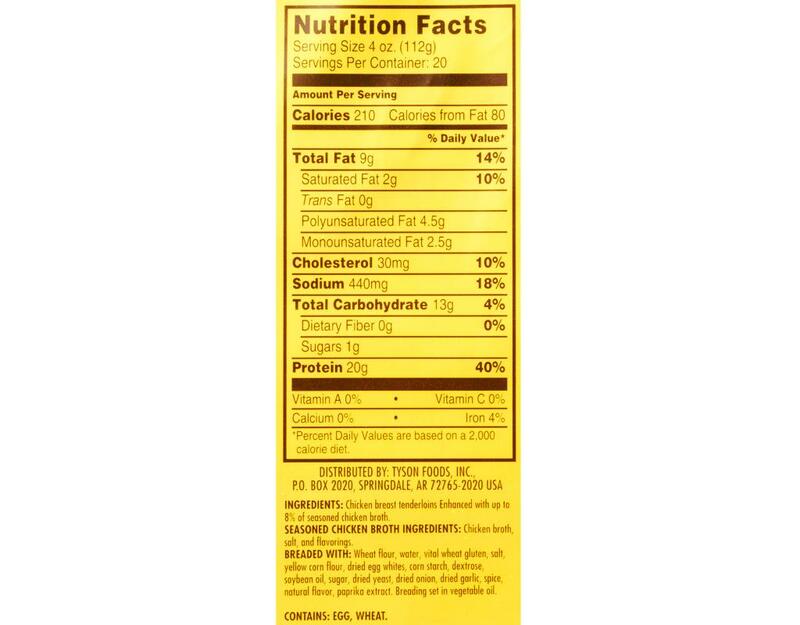 Seasoned Chicken Broth Ingredients: Chicken Broth, Salt and Flavorings. 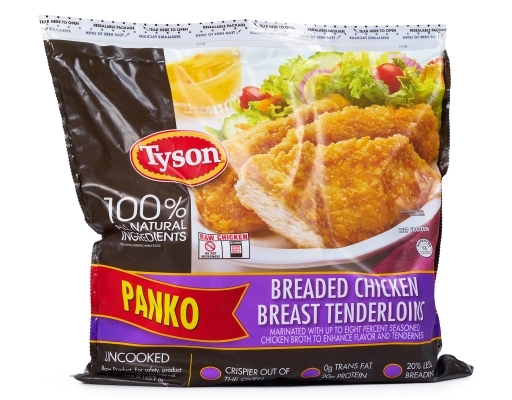 Breaded With: Wheat Flour, Water, Vital Wheat Gluten, Salt, Yellow Corn Flour, Dried Egg Whites, Corn Starch, Dextrose, Soybean Oil, Sugar, Dried Yeast, Dried Onion, Dried Garlic, Spice, Natural Flavor, Paprika Extract. Breading Set In Vegetable Oil. 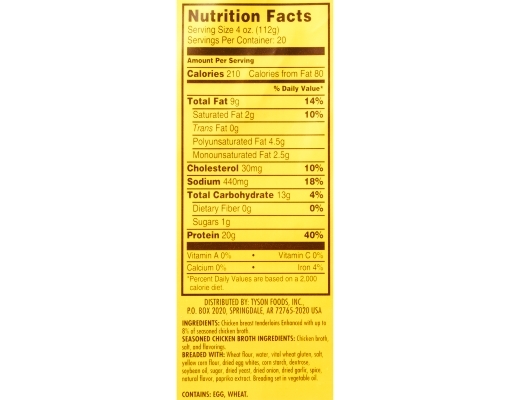 Contains: Egg, Wheat.